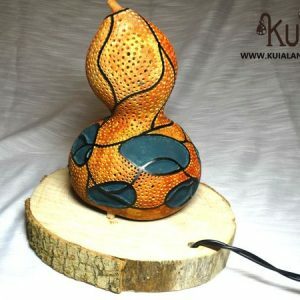 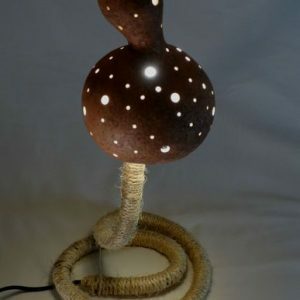 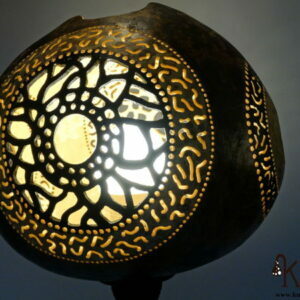 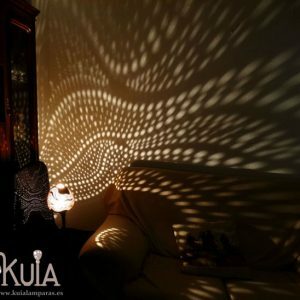 Rustic-vintage lamp.Handicraft gourd lamp with drawings that evoke a deep sea long ago.Ammonites and several abstract figures are the perfect combination to recreate this. 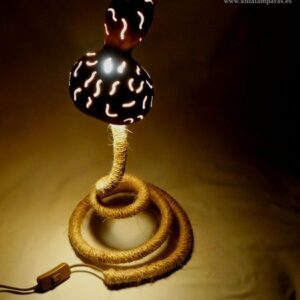 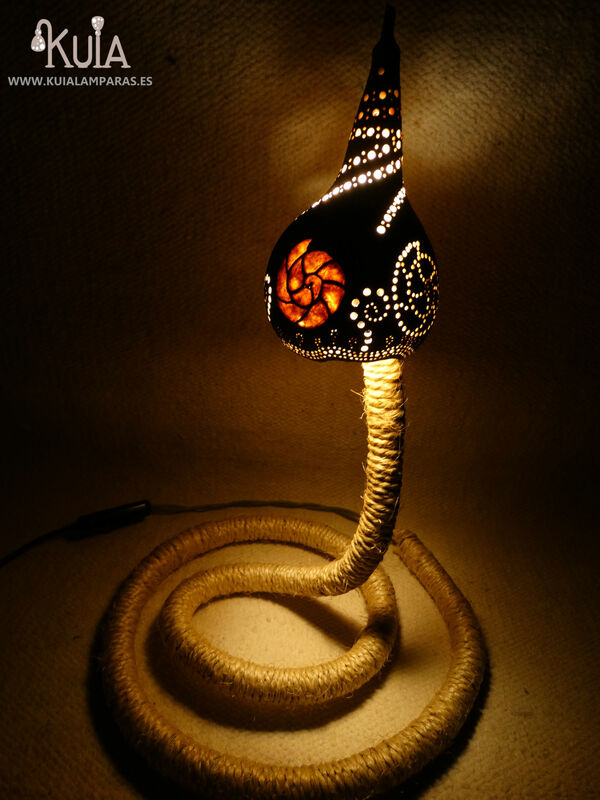 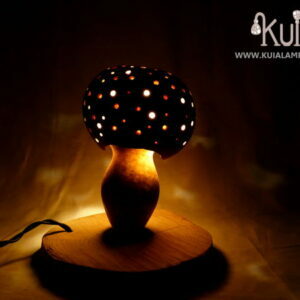 IT is a table lamp, the base reproduces the curves of a snail and it is covered with hemp rope. 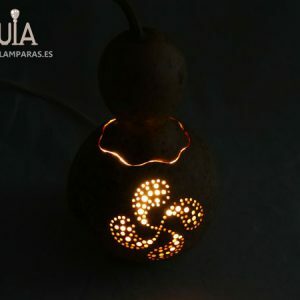 Perfect for a ecological decoration, the gourds are harvested myself, and the lamp uses led illumination for a good sustainability.